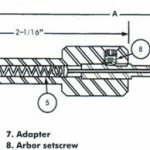 Definition: Deep rolling tools, which are used in deep hole machining, a roller burnishing tools is often combined with skiving knives and roller pins on the same tools. Deep rolling tools is a special burnishing tools that is used for machining diameter ratio of 1:10, so deep hole is not available to be burnished, and the smooth finish cannot up to Ra0.2. 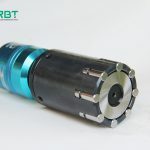 So deep rolling tool came into being, deep rolling tool is a multi-roller pin tool used at normal temperature, it makes the metal surface layer to produce plastic deformation, to modify the surface uneven of the workpiece, thus reduce the roughness value on surface, so deep rolling tool can be instead of heat treatment and finish machining on workpiece surface. Deep rolling tool has a micro-adjustment range of burnishing, so it is more manageable, and more reliable. 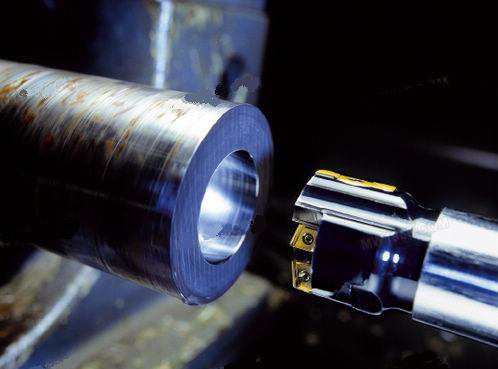 Deep rolling uses roller or ball burnishing of a surface with sufficient force and repetitive deformation to deliberately create both a highly cold worked surface as well as a compressive layer of residual stress. Due to deep rolling tool has a micro-adjustment range of burnishing, you can easily adjust the burnishing diameter, so it is suitable for rolling and finishing the deep hole after finishing, it has the advantages of convenient operation and high efficiency.